1998 Treasure Hunt Series. International short card. Black & white checker graphics on sides. 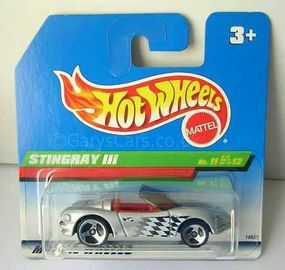 Small black & white Hot Wheels logo on sides. Black, white & red Corvette crossed flags on front of hood with 2 black racing stripes on hood.